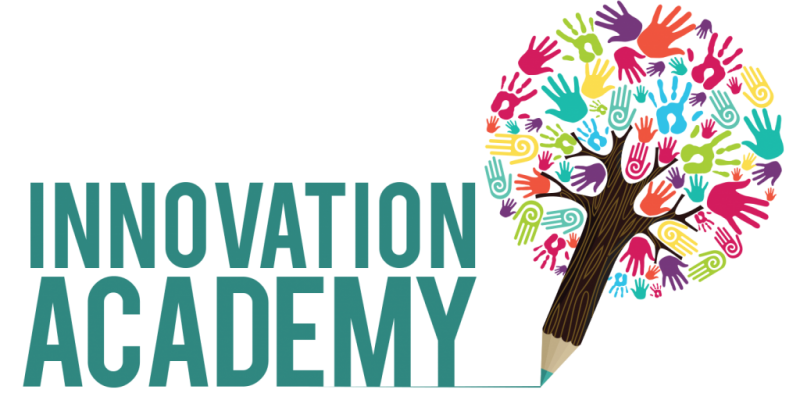 Innovation Academy continuously strives to raise the bar when it comes to education. 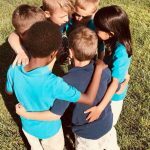 In order to do so, we carefully designed our curriculum, teaching methods, and educational environment. Innovation Academy understands that all of these factors contribute to our students’ success. A hot topic as of late is the concept of “classroom design”. You can read more about that HERE and HERE. The truth is, school architecture, for the most part, has only just recently began to evolve. 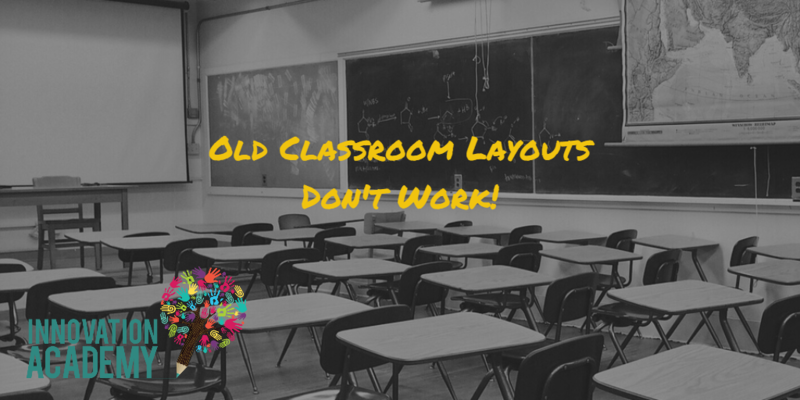 That means most of the schools out there now still feature design elements from the early 1900’s!! 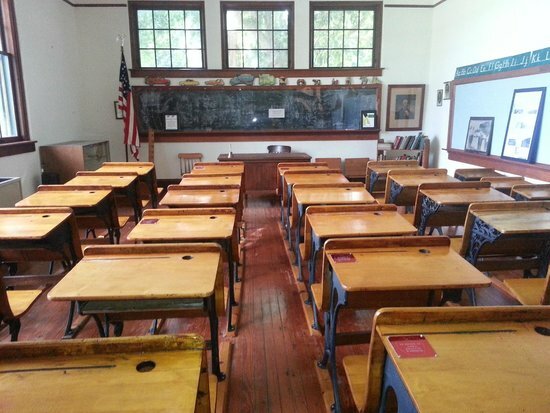 This is a “modern” classroom used today. As you can see, other than artificial light, not a whole lot has changed since 1917 in terms of layout and design. What is Wrong with the Design? So, what is the big deal?? Well, technology has evolved, tools have evolved, the world has evolved. 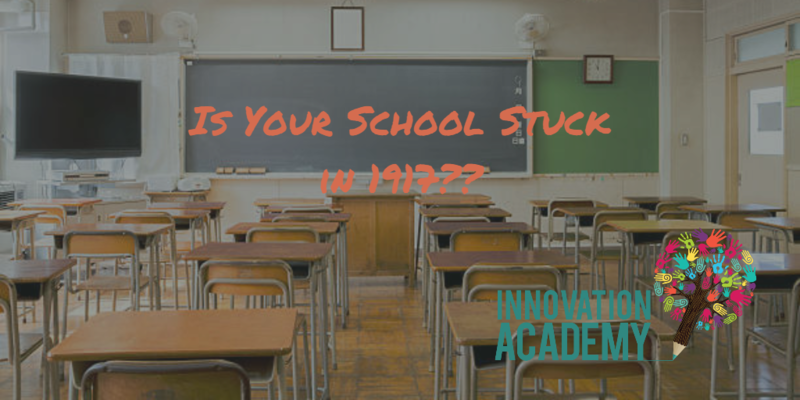 Innovation Academy believes that the way we educate should evolve as well. Research has shown, for example, that students score higher on test scores when they are in naturally lit classrooms. 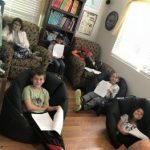 Additionally, seating arrangements should accommodate educational goals: the traditional row seating might be best suited for “sit and listen” type lessons, while group work needs more shared space. Some students need some quiet, solitary space, while others need the ability to move and interact with their learning space. Something you won’t see at Innovation Academy are rows and rows of hard tables and chairs, under cold florescent lighting. Simply because we find that our students are at their best, and most engaged, when they feel comfortable and relaxed at school. 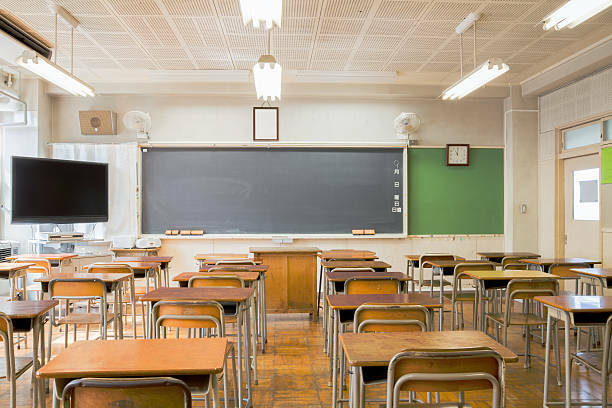 Innovative school design is rapidly gaining popularity, and we are excited to see changes begin to sweep across the country. 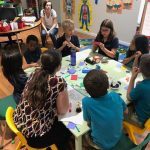 You can read more about the cutting edge of school design in this excellent interview with the Khan Lab School, by BoredTeachers.com. In this interview, you will learn about the principles and goals behind this “testing ground” for school design. 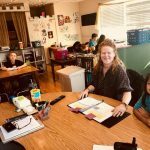 Meanwhile, Innovation Academy is doing their best to provide the most comprehensive and thoughtful approach to education available in Las Vegas. Please CONTACT US to learn more or to schedule a tour with your family!! 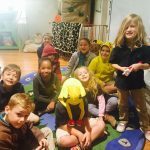 A private school education at Innovation Academy is more affordable than you think! CLICK HERE to learn about pricing and state grants! Previous StoryHave you Heard of Earthing? Is there Science Behind it?